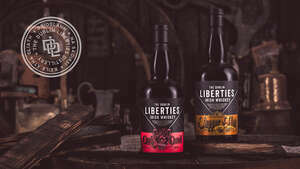 The whiskeys of The Dublin Liberties Distillery are borne from the hand-selected natural ingredients, rebellious taste choices and pioneering distillation processes of Master Distiller Darryl McNally. The DLD will open to the public just weeks after Whiskey Live Dublin, where you'll get your advance chance to experience character, taste anarchy and savour mayhem; the whiskeys are that good. Welcome to the world-renowned, masterfully-crafted whiskeys of Dublin's new craft distillery experience...this is Dublin: milled, mashed, fermented and distilled.